Whew! What a weekend! 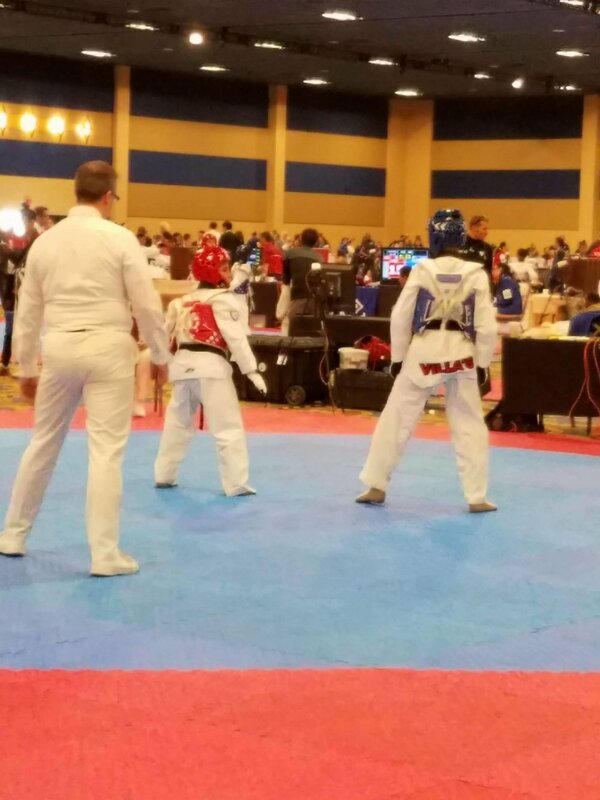 As the Generation TKD competition team descended upon Las Vegas, there was a surreal emotion fleeting about amidst the looming tournament at hand. The Vegas shooting and the fatalities which incurred were atop in all the attendees’ minds. The magnitude and severity of what happened shook people. To add to that, the President’s Cup Tournament had athletes from Mexico, Puerto Rico, Texas and Florida, which were also ravaged by disasters were also present on the mats. Fortitude, perseverance and moving forward were in full force in this tournament. Amongst the crowd athletes showed their mental toughness amidst all the noise, and sure enough they did it all with class and grace. Master Chino made sure that the Generation TKD team was doing just what they were trained to do — staying strong. “I want them to know that we’re all in this together, and there is a job to be done here. We keep in mind that life will have its bumps, but we have to learn to keep moving. And this is part of what I teach them,” Master Chino said. The tournament was well attended. Countries from all over the world were there, and Team USA was well represented. The GT kids were all in awe and felt the adrenaline course through them as game time started. Sparring resulted in some close matches and early round exits for Angelo Baraceros, Troy Asia, Colin Ramirez, Russell Sambrano and Treven Cullinane. They came up short, but it was a resounding never give up mentality was the chant from all of them. Redrick Sambrano and Kaelynn Agustin came out on top of their brackets. 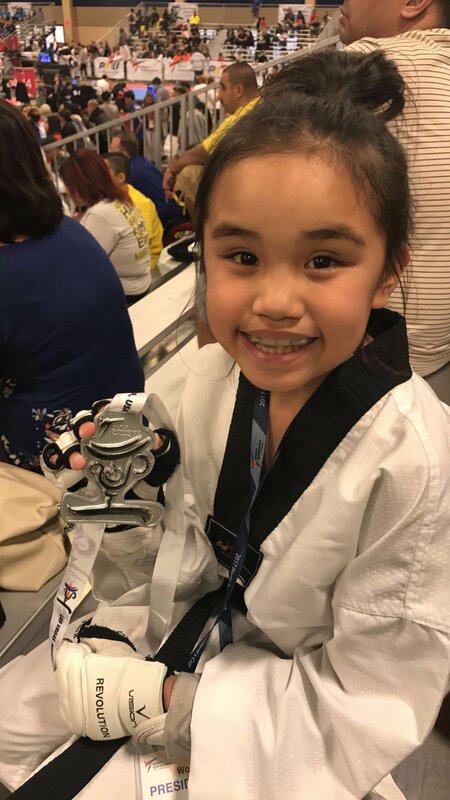 The tournament was Kaelynn’s first outing as a black belt in the youth division, and she did not disappoint her proud coach and parents. She fought tooth and nail to persevere, and she did not hold back. Also new in the international stage, were silver medalists Nathan Clemente, Jayden Abcede and Tristan Ang. Their showing were lit with lots of grit and their mentality of never giving up. Last but not least, Evan Matsuda, Angel Garcia and Sydney Moon almost came back without a medal, but they fought it out and made sure they came home with some bronze to match their unwavering brawn. “Overall, our kids did well, but we have lots to do back in the office. The results came in varied at the end of the day, but I’m proud of all of them. But showing up is never enough. I want the kids to reflect on their results and think of where we can work together on getting better. And I emphasize the WE, because I cannot do this alone,” added Master Chino. Overall, GT athletes’ “staying strong” attitude was true to form. Win or lose, Master Chino’s outlook never wavered. “Work is never done, and GT will keep on coming,” Master Chino emphatically proclaimed. So Until next time.